is generated when two equal wave forms moving in opposite directions interfere by occupying the same space, amplifying when in phase and canceling each other when out of phase. 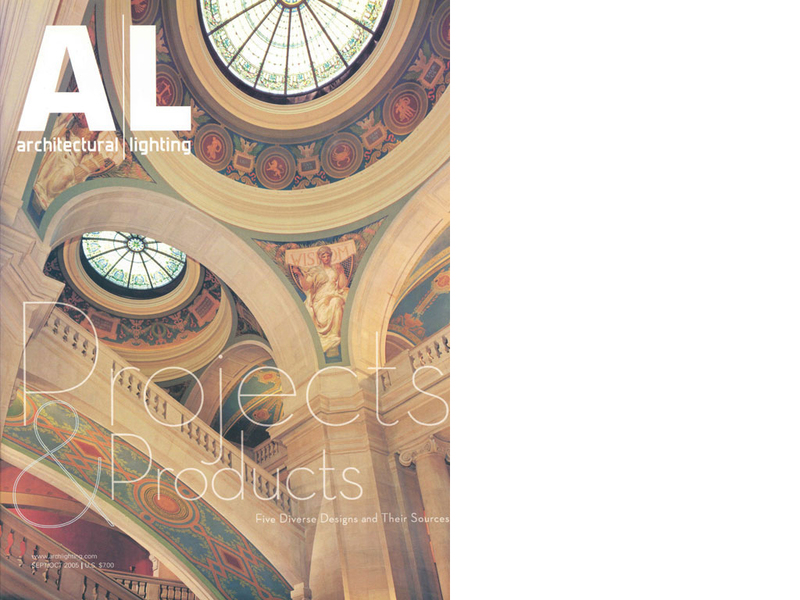 From comprehensive to consulting services Standing Architecture LLC will provide architectural design, planning, interior design and lighting design; for work similar in scope to that featured on this web site. 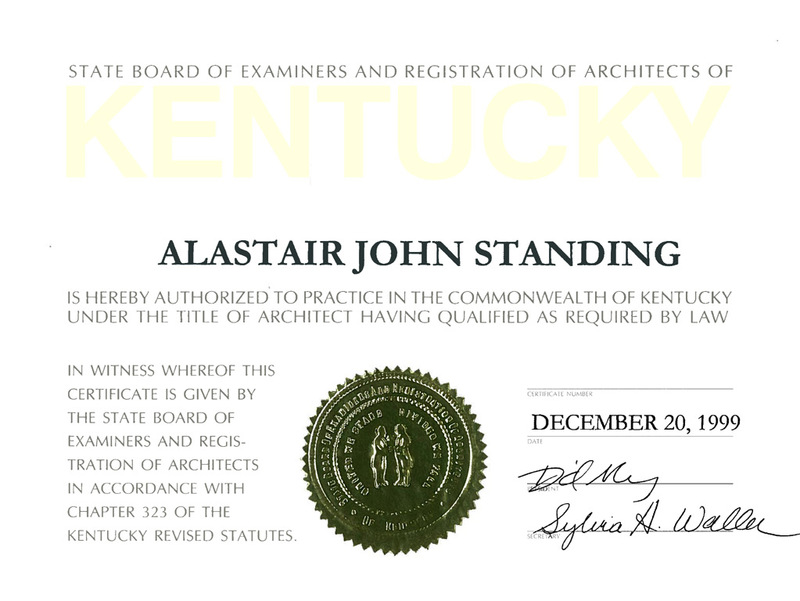 The practice has developed excellent working relationships with designers, structural & MEP engineers, general contractors and expediters. Please use the contact page to communicate. 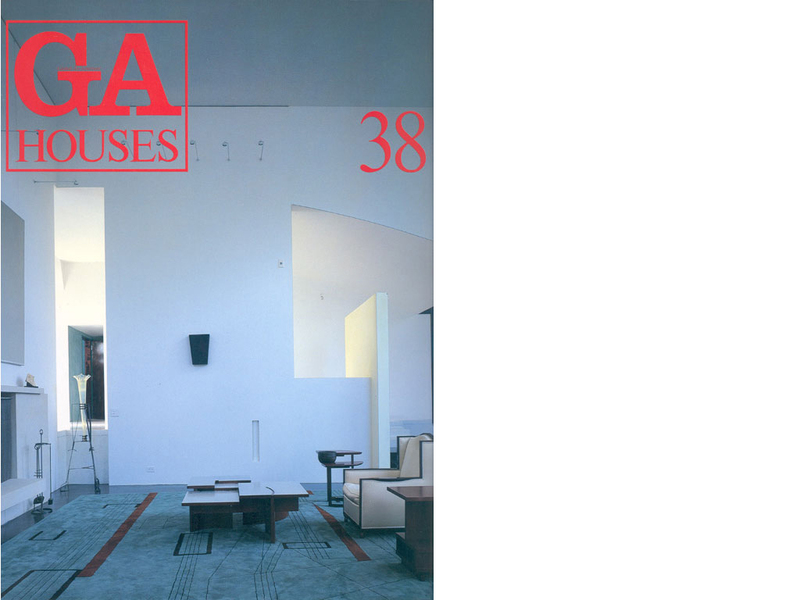 Some of the work has been included in Architecture and Design magazines, as well as books, in the United States Europe and Japan. 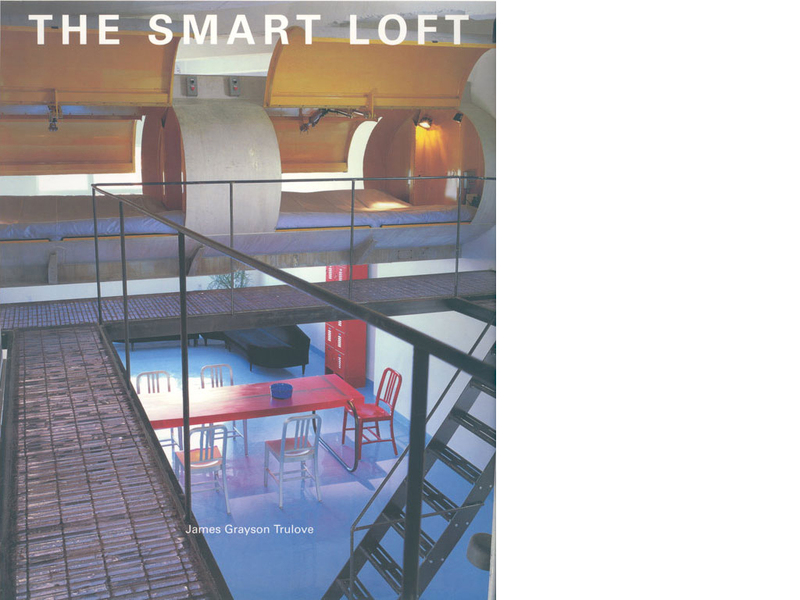 These publications include The New York Times, Architectural Lighting, HG and two books: New York Minimalism and The Smart Loft in the US. 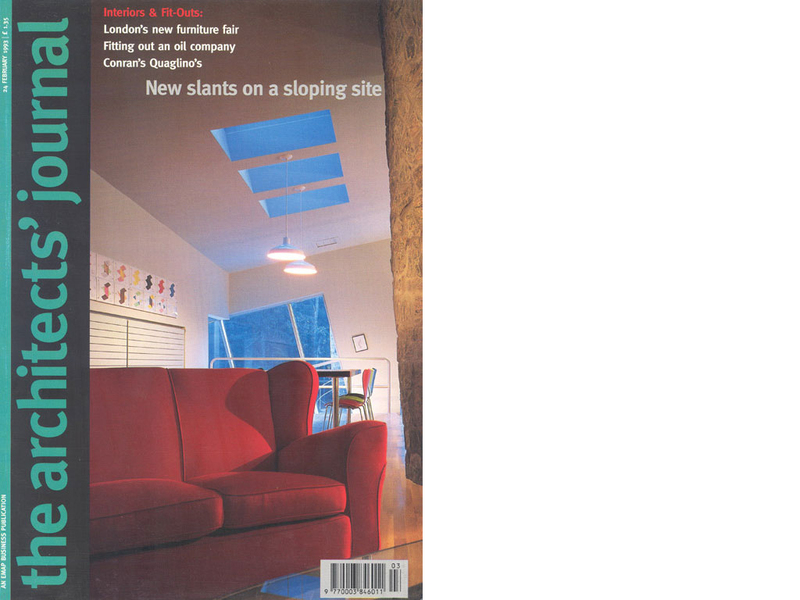 In Europe; The Architects Journal, Ville Giardini and Ambiente. 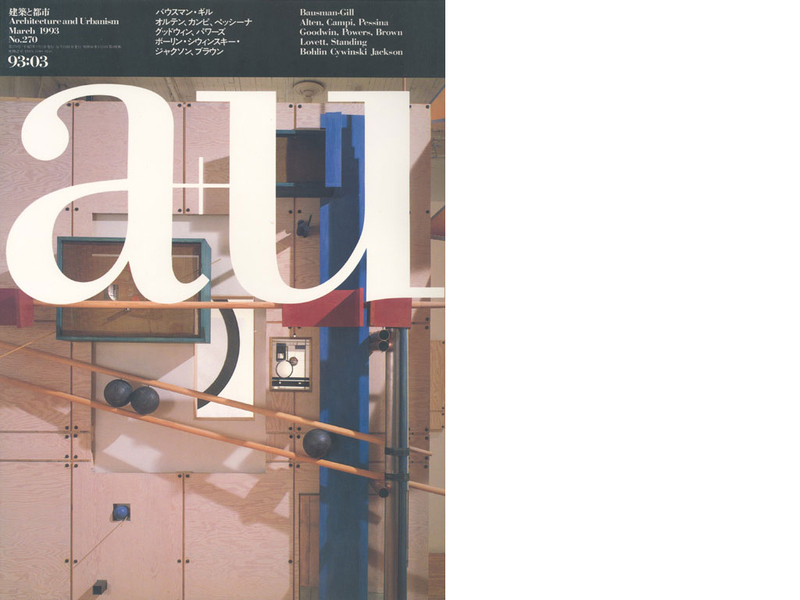 Japanese magazines include GA Houses, A+U and Im Home. 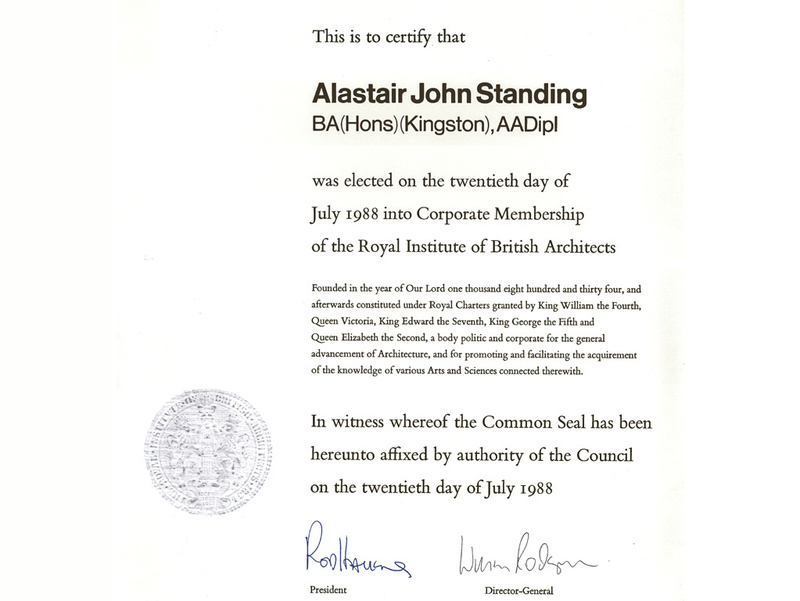 Alastair Standing BA(hons)(Kingston), AADipl. 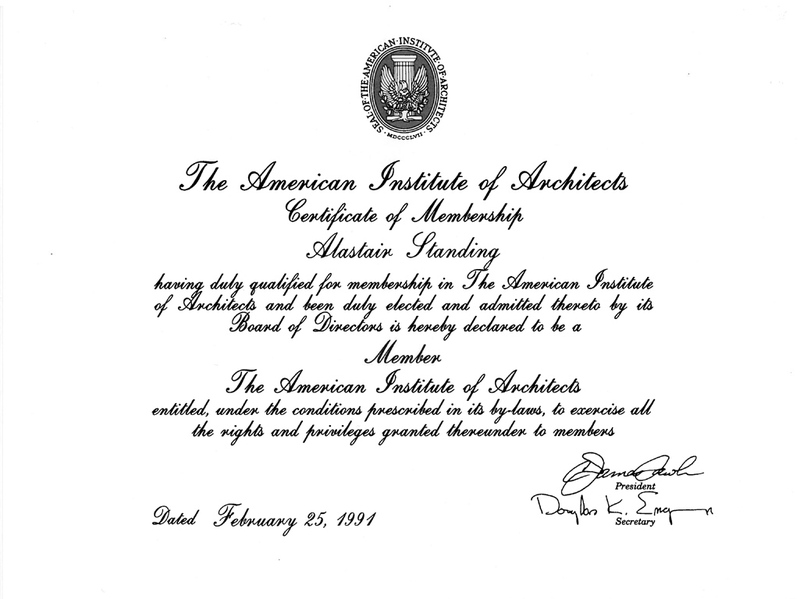 RIBA, AIA, RA, LEED AP is the managing member of the firm founded in 1991. 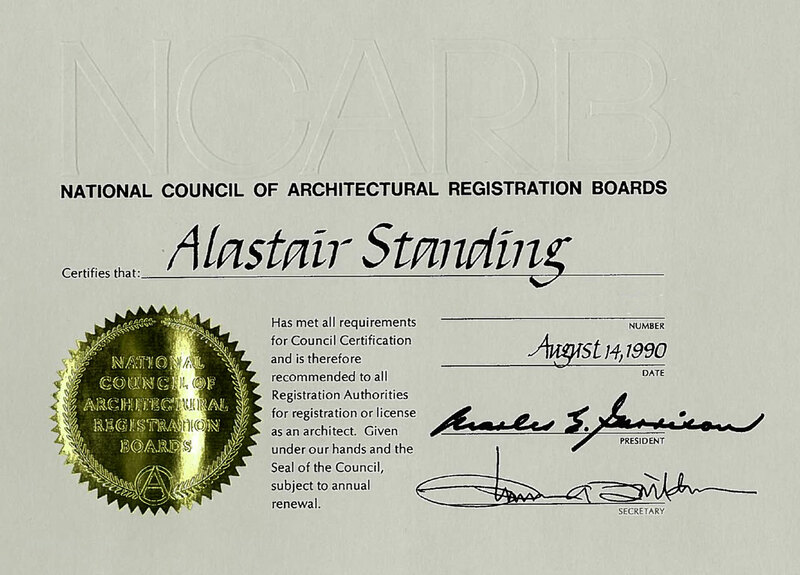 Born and educated in England, he received his architectural qualifications from two top London schools. 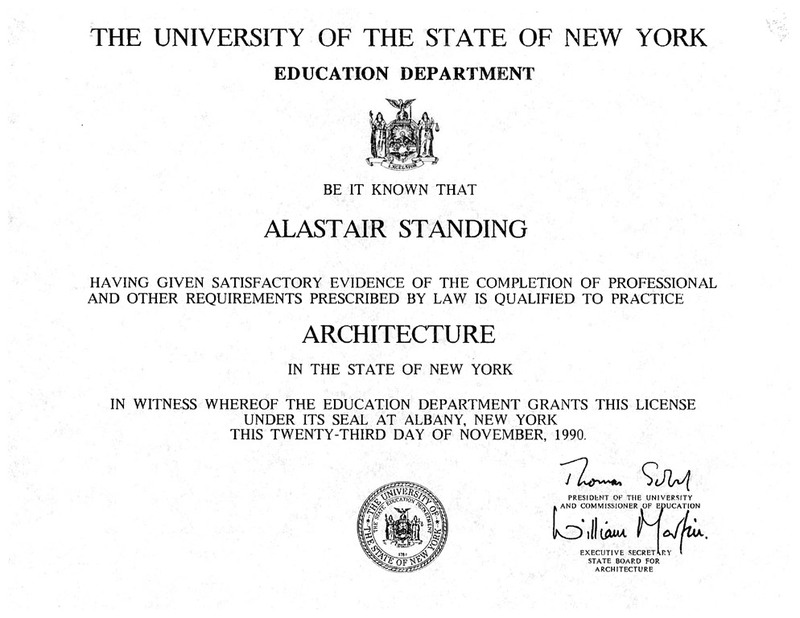 Following graduation he worked for Zaha Hadid Architects in London before moving to New York to work for Arquitectonica. 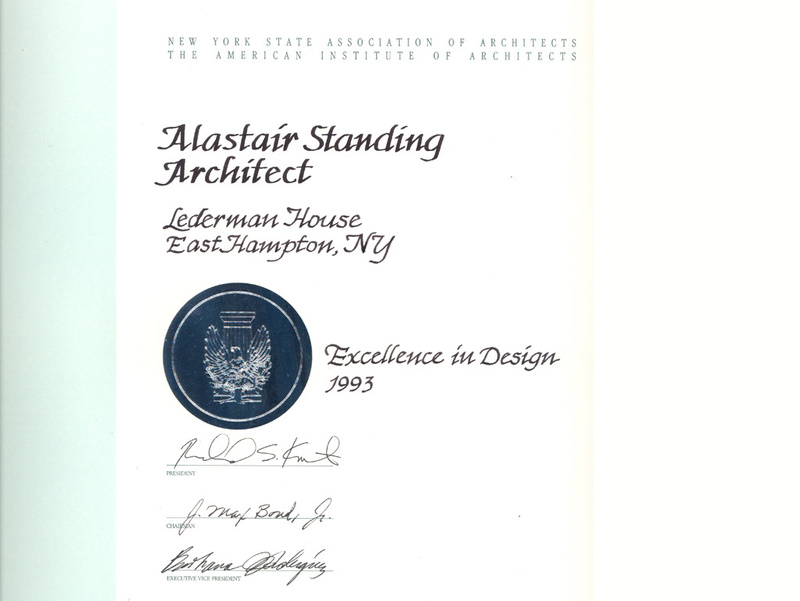 After becoming licensed to practice architecture in both the United Kingdom and the United States; he joined professional organizations, the Royal Institute of British Architects and the American Institute of Architects respectively. 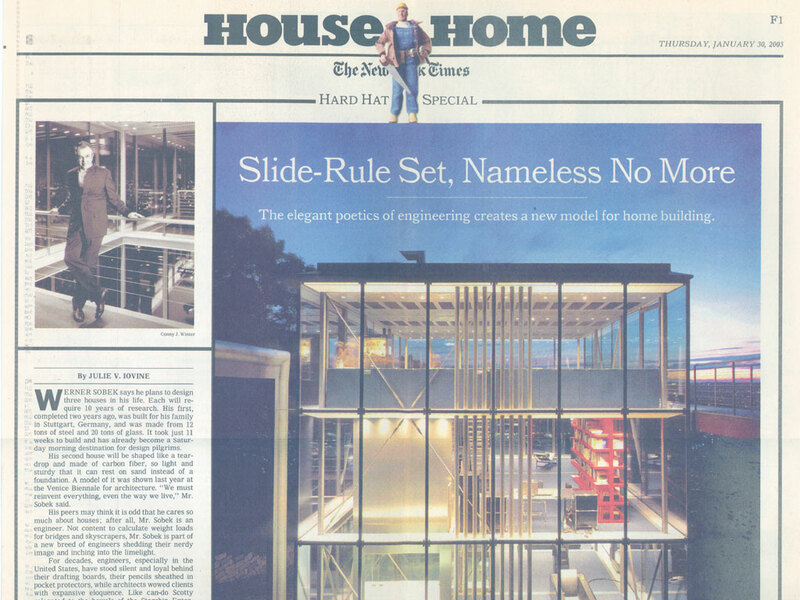 His first commission in private practice won an Excellence in Design Award from the AIA. 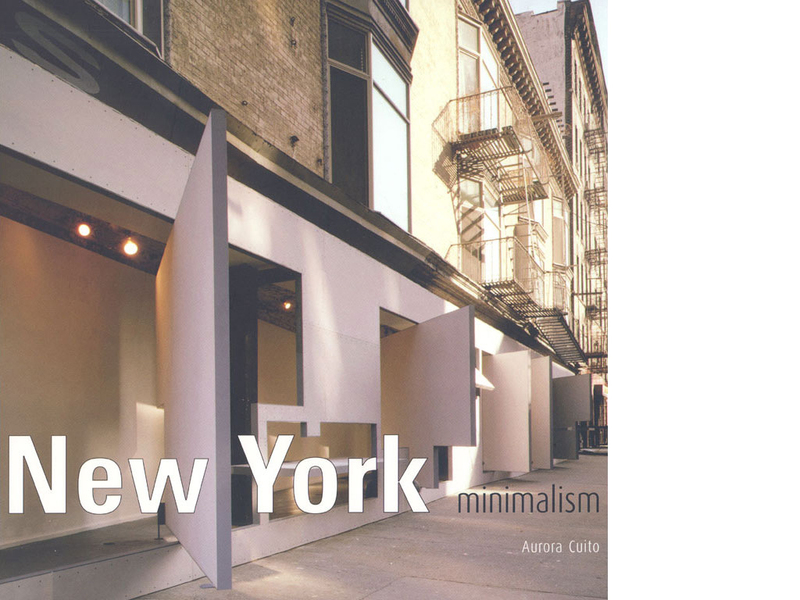 He taught, co-ordinated and set up Design Studio courses at New York Metroplitain area, graduate and under-graduate, professional and non-professional programs for ten years. 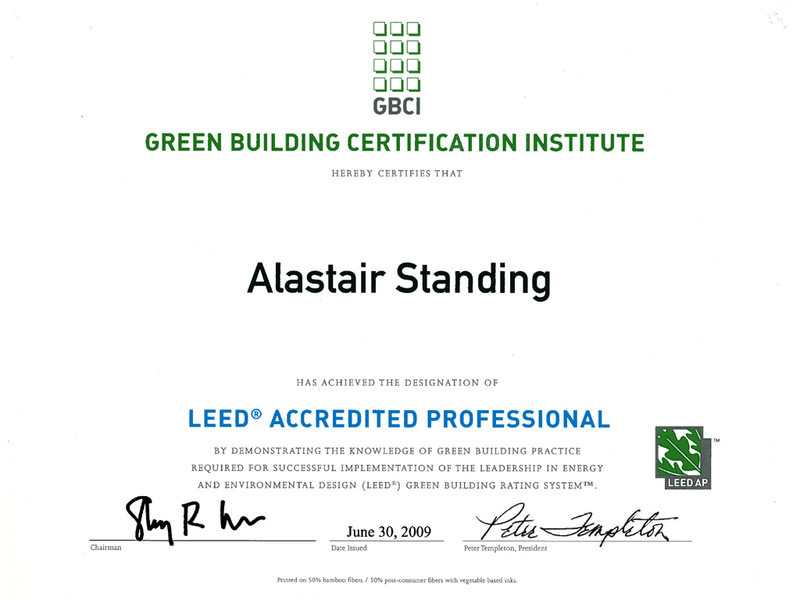 As a Green Building Certification Institute member he is recognized as a LEED Acredited Professional for projects requiring certification.